Had enough cheap talk? Now comes the time to get your hands dirty, let the beast out, take the gloves off. 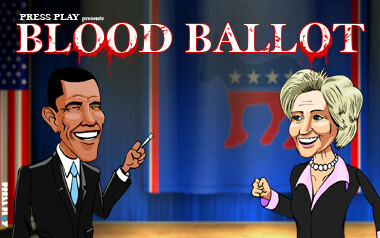 Blood Ballot is the democratic primary fighting game that lets you take a swing at the big shots. 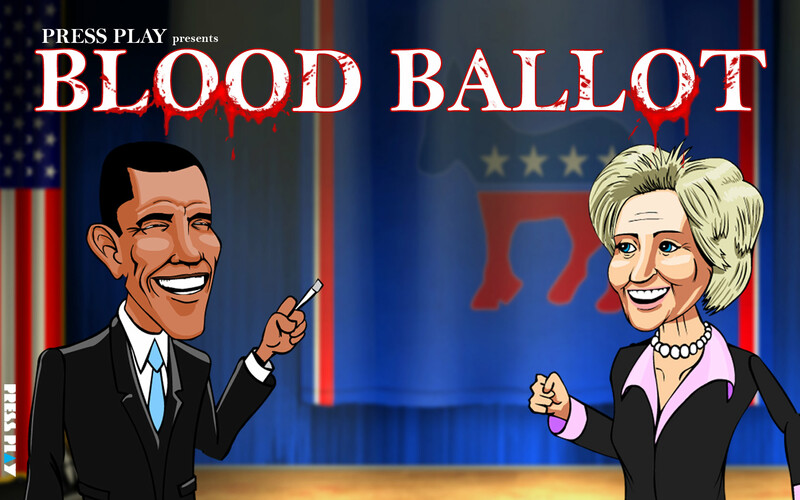 Play as either Hillary Clinton or Barack Obama, anything goes and no trick is too dirty in this battle for the future of America. Clearly there are too few polls and predictions out there. To remedy this problem we have set up our own poll. We keep track of mistakes made, punches blocked, rounds won and lost and update the diagrams above accordingly. For all we know, our numbers are as precise as those from Gallup. 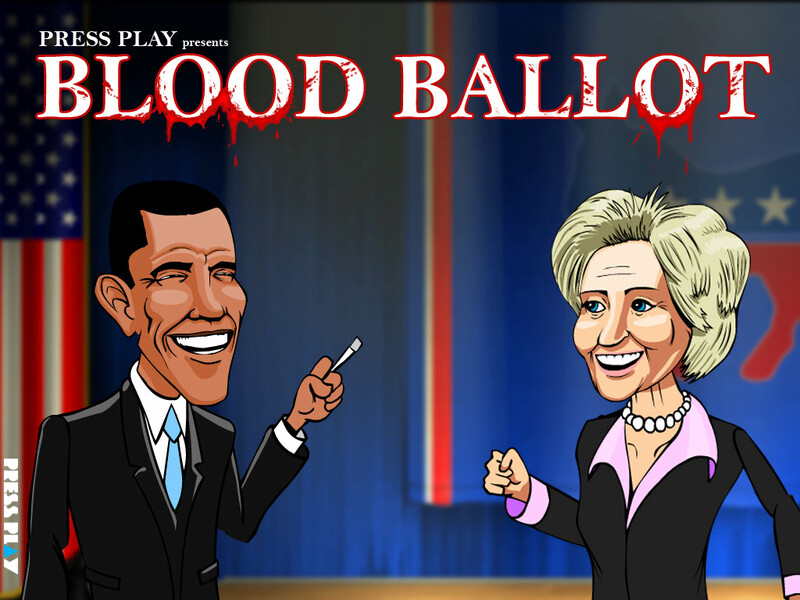 BLOOD BALLOT is developed by Danish Game Developer Press Play.